Well yet another Monday is here and as every other Monday since we started this page, it is time for our weekly Pros & Cons about keeping a particular chicken breed. We chose the New Hampshire chickens for today`s article because we want to share with our readers breeds that are productive and famous with all of their good and bad attributes. 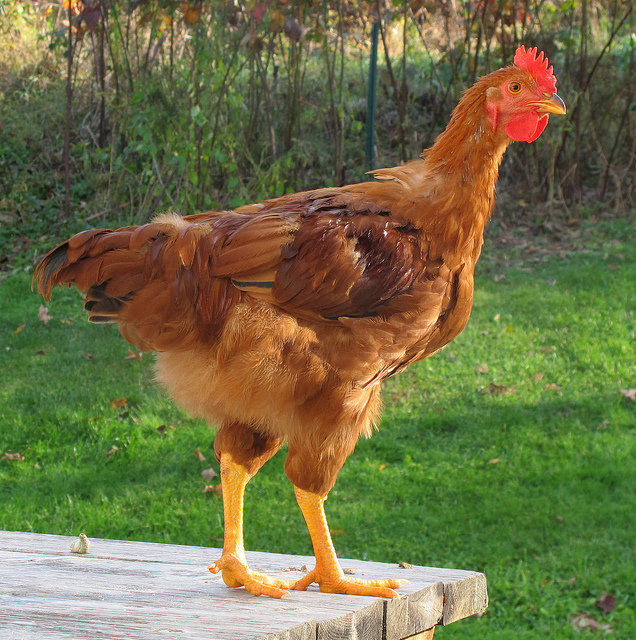 Last week we had the Belgian Bantam chicken breed Pros & Cons and since we had a bantam chicken breed it is only fair to provide our readers with an article about one of the larger breeds available. The New Hampshire chickens love to watch their keepers work and maintain their yards and coops. They grow a bit big but still their chicken keeper can pet them and have them in his/her lap. There are tips on how to raise friendly chickens and if this breed is friendly it does not mean that you don`t need to use those tips on the New Hampshire chickens. 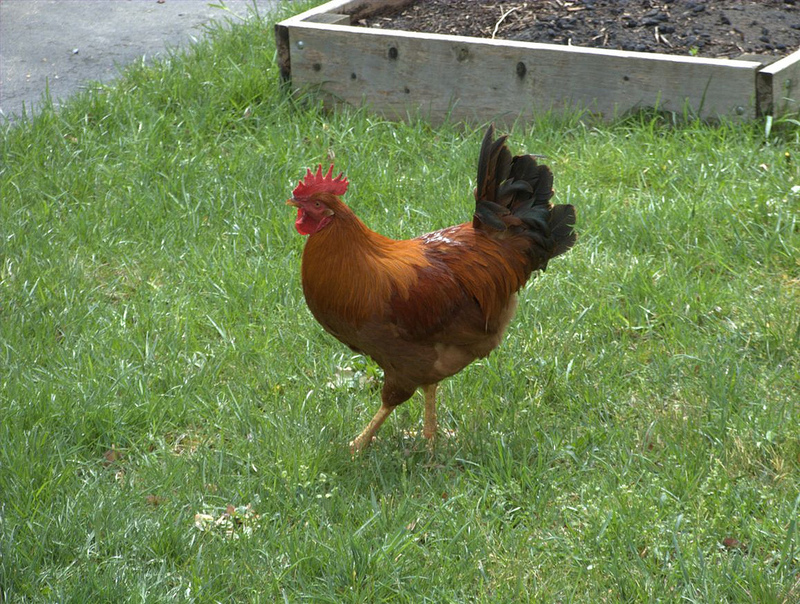 However, the New Hampshire chickens are not known to be particularly friendly towards other chicken breeds and animals. Many chicken keepers we have talked to about this particular breed have said the same, the New Hampshire chickens are smart and calm. When something new is going on around them they will watch and monitor the situation and then react, unlike some other chickens which panic and get aggressive. This makes them very useful especially if you have a garden near your coop you can work on it and leave it opened without worrying about your chickens making problems around it. When you present a new toy to a New Hampshire chicken it is very likely that you will wait a bit until it goes and plays. A flock of New Hampshire chickens is one of the most beautiful chicken sights many keepers have agreed to have seen. Brownish-red feathers everywhere except for the back feathers which are black, when a person that does not have much of an interest in chickens thinks about chickens usually a picture of a New Hampshire chicken comes to his/hers mind. During our research we at the typesofchicken.com team were surprised to find out that many chicken keepers have complained about this breed being unfriendly towards other chicken breeds. This is maybe due to their size they feel authoritative and like to bully other chickens especially newcomers in the flock ( If you want to know how to introduce a new chicken to your flock properly check out this article). As we mentioned before chickens from this breed can grow big. This may cause some problems if their chicken coop is not big enough for them. Being in a smaller coop can make the uncomfortable and that can lead to bullying and feather pecking in the flock. Hens from this breed can get a bit aggressive towards those chicks that don`t follow them or if they notice a chick from a different breed among their own chicks. So if you have a New Hampshire hen in your flock it would be good to monitor her behavior when the hen is with her chicks. Previous Article 5 Apps To Make You A Better Chicken Keeper! Next Article How To Keep Your Flock Cool In The Summer!